19 June 2012 – Life Is Such A Sweet Insanity. So today during my day off I decided to go up to the old stomping grounds of my hometown. I put a solar lamp on my father’s grave site because I thought he would enjoy the simplicity of not having a lit up stone, but just something tastefully simple nearby. I think it looks good. I didn’t take a photo. After that I headed to the “Port City”, or the City of Oswego, which is on the shores of Lake Ontario. Downtown Oswego straddles the Oswego River. 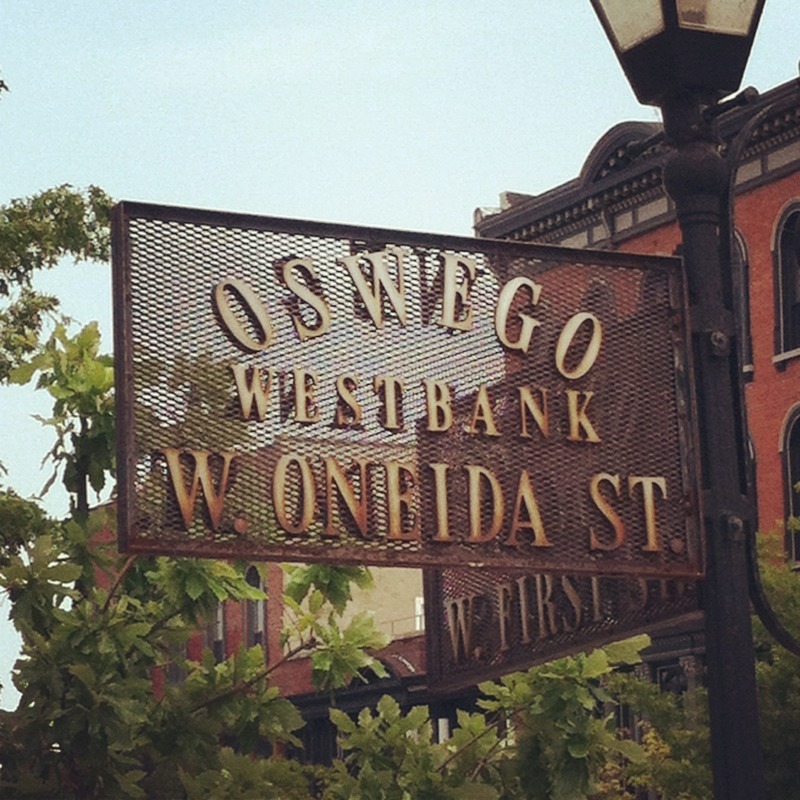 Unlike many cities, Oswego’s numbered streets don’t meet each other. For example, West First Street does not become East First Street. West First Street is on the west side of the river and East First Street is on the east side of the river. The numbered street increment in the appropriate direction away from the river. Some find this confusing. I find it delightful. The downtown area of Oswego has seen its hard times, like many cities in the neck of the woods, but it still has quite a few homegrown shops to keep it interesting. After parking the Jeep I decided to walk around and explore a little bit. 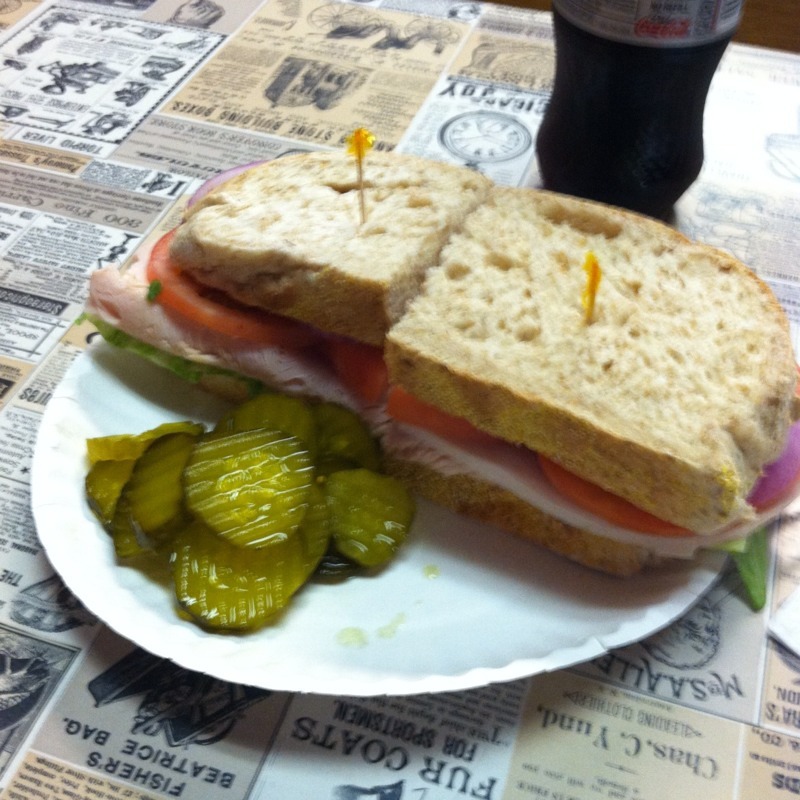 My first stop was a place called Oswego Bagelry and Sandwich Shop, which looked like it was a hole in the wall but the staff was super friendly and the homemade sandwich was wicked good. Plus, I got a whole pile of pickles! 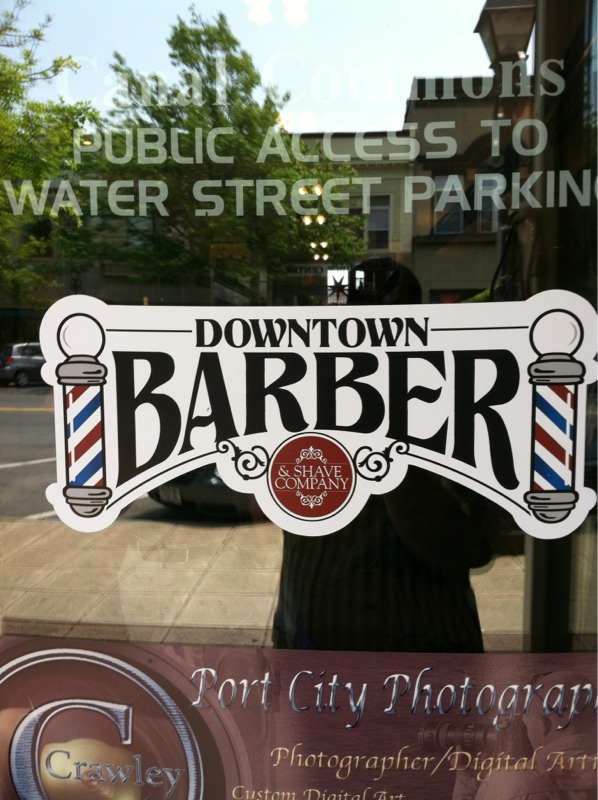 After I had my fill of lunch, I spotted a barbershop called “Downtown Barber and Shave Company”. Since I hadn’t shaved in a couple of days and because I’m starting to become a barbershop shave aficionado again (after years of having a beard), I decided to give them a try. I waited an hour and enjoyed some of the liveliest conversation I’ve heard in a barbershop in a while (and I think I was the oldest one in the place) but it was well worth it and I came out smooth faced (except for the complimented mustache) and unscathed. Appropriately aged customers are offered an adult beverage from the fridge. All walks of life were in the place and it was the way a barbershop should be. It’s a shame that it’s 75 miles from the house. I have always preferred Oswego over nearby Fulton (though they are somewhat close to being the same sized cities). After I was cleaned up and I realized it was getting a little later in the afternoon, I hit Route 481 and headed down towards Syracuse so I could make my way home. 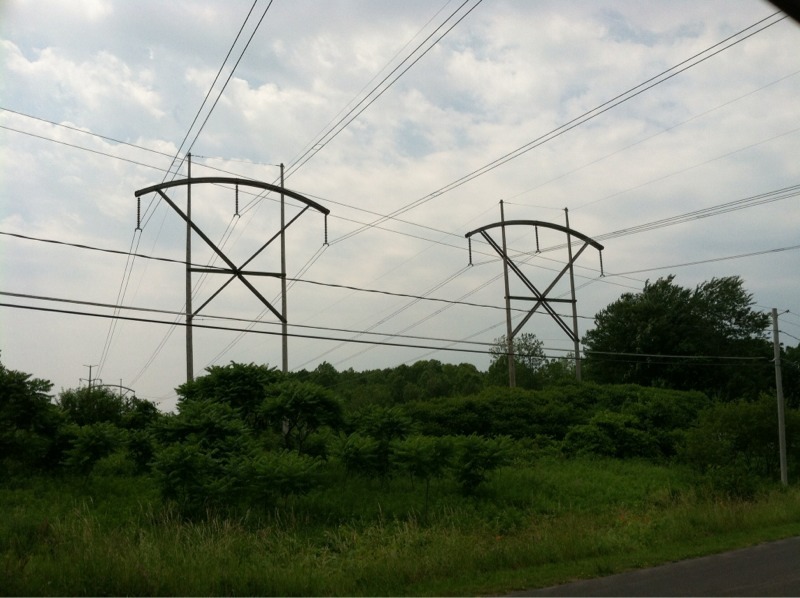 I took an obligatory powerlines photo of these two circuits that make their way across the county because I found the “bentwood” cross arms to be interesting. 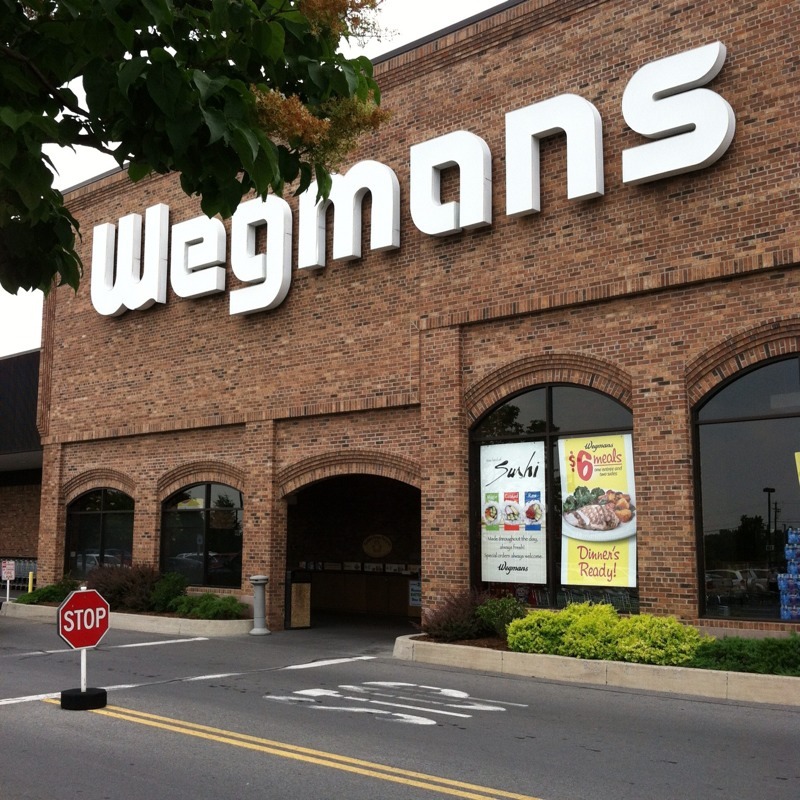 Luckily Earl had left me a short “honey-do” shopping list before heading to Buffalo this morning, so I went into Wegmans and picked up some needed staples for the house. Even though this particular store was one of the smaller ones in the area, shopping was still a delight because of the selection, the layout of the store and the general vibe of the place. All in all it was a good day. I feel very relaxed and I’m ready to tackle what remains of the work week. After all, tomorrow is Wednesday and it’s my Wednesday too. It’s good to be back in sync. Today is my Sunday. Tomorrow I’m back on schedule with work. It’s all good. To celebrate my day off, I am getting some errands done and doing some exploring in the Jeep. And this is where it occurs to me that technology is awesome. 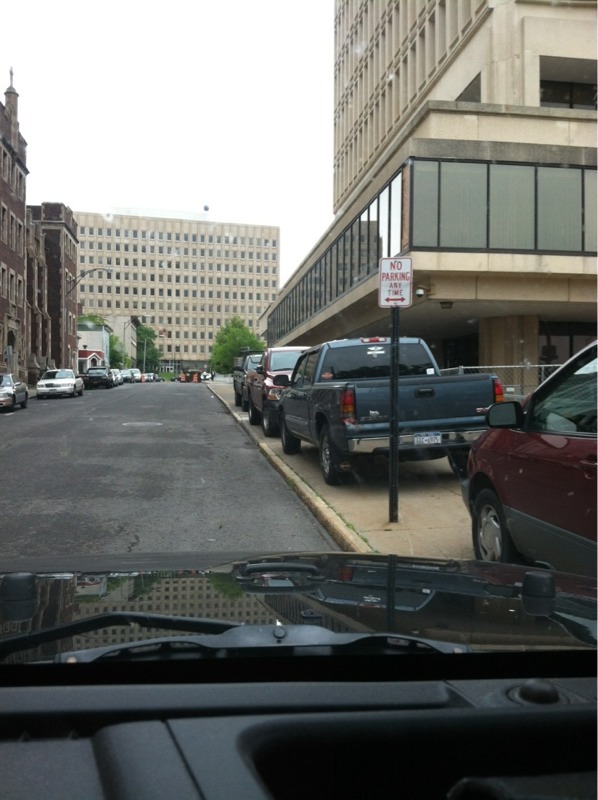 For example, I just took this photo of some parking skillz in Downtown Utica. I took the photo using my iPhone. To get the photo from my iPhone to my iPad, I didn’t wait for Apple’s iCloud service to sync it up, I simply used an app called “Bump”. I banged my iPhone and my iPad together and the photo was instantly transferred over to my iPad, ready for inclusion in the blog entry. After admiring the parking skills of the Utica natives, I stopped at Bagg’s Square Café Express where I picked up a Venti Iced Green Tea and paid for it with my face using the Square app (I talked about this last week). I am now picking up a solar light at the Lowe’s that I know has them in stock because it was indicated in the affirmative online. From here I will stop at the gas station along my intended route where I know the price is the lowest (courtesy of Gas Buddy) and then I will select my lunch stop based on recommendations from Yelp!